Pres. 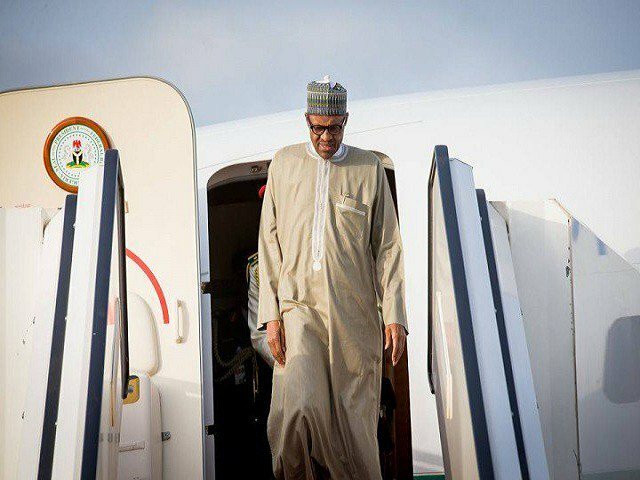 Muhammadu Buhari as return to Nigeria after four-days stopover in London, the United Kingdom for unknown reason. On Thursday, Buhari left New York to London, after participating in the 72nd Session of the United Nations General (UNGA). The Special Adviser to the President on Media and Publicity, Mr. Femi Adesina, had said that the “President Buhari will transit through London on his way back to the country”. Though he did not disclose the reason, it is speculated that the trip might be health-related.